Payment Options: Cash on collection at Admiralty MRT or Fund transfer, FREE local normal postage. Looking for a replacement leather belt strap for your removable buckle? Our high quality and affordable full grain leather belt will never crack or peel. Made with genuine cow-hide leather, this reversible leather belt is perfect for daily users of leather belt. A reversible belt saves space in your wardrobe, and you can choose to wear either the black or brown side to match your style and shoes. One side is black and the flip side is dark brown. Both sides are made from high-quality full grain leather, which makes it extremely flexible and durable. Full grain leather retains all of the texture and markings of the original hide. Healed scars, mosquito bites, wrinkles, and the hide's original grains form the natural character and beauty of full grain leather. For that reason, it is apt to say that each piece of full grain leather belt is unique and truly the work of nature. Dimension: 2.8cm (width) and 120cm (length) - Fits waists up to 42 inches. Belt comes with belt loop to secure the tail of the belt. Each belt has 5 buckle holes. The GreatValueBuys Singapore Sale (GSS) is now on~! 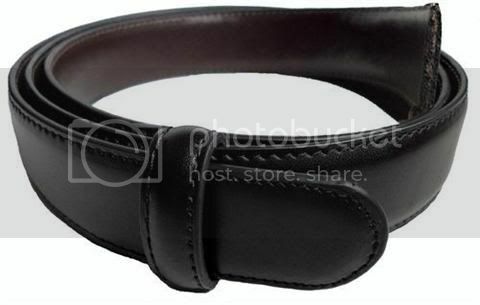 Buy 1 leather belt @ $24.90 and get free normal postage. 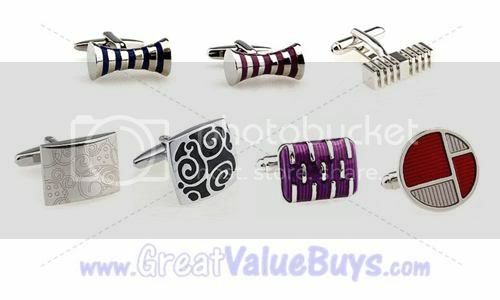 Buy 2 leather belts @ $49.80 and get free registered postage. Unlike 'genuine leather belts', full grain leather belts will never peel or crack! The most affordable men's formal leather belt made with real cowhide leather with no synthetic leather / PU coating. 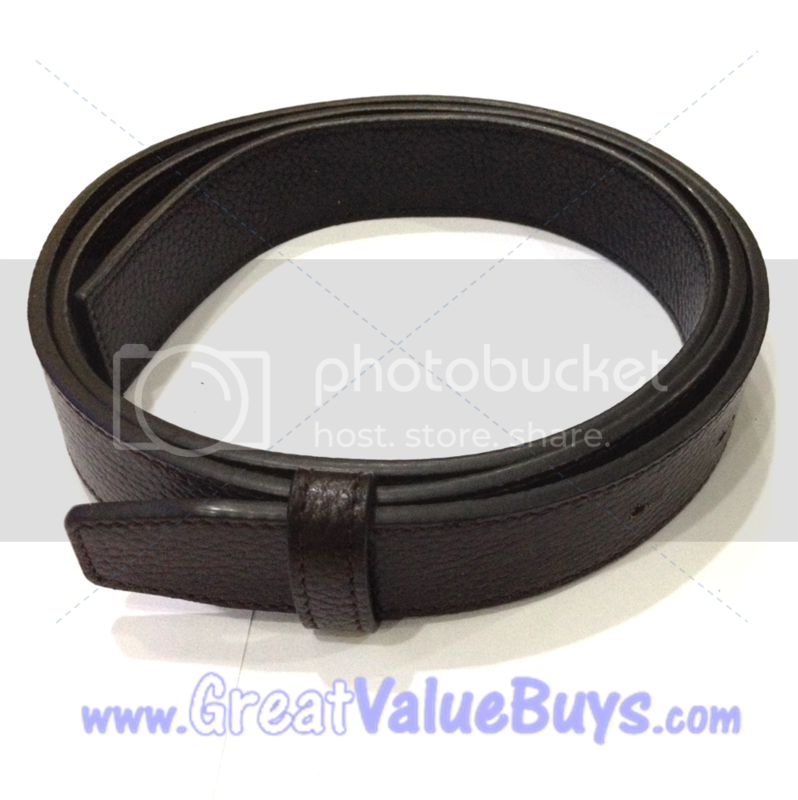 Affordable men's real leather belt replacement strap at only $19.90, inclusive of postage~!